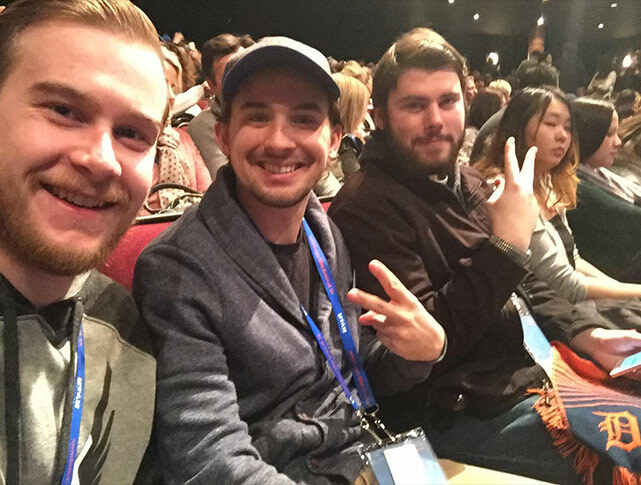 This past January, JPCatholic directing professor Nathan Scoggins took four MBA students to Sundance, the country’s largest independent film festival. Staged in Park City, Utah, and founded in 1978, it showcases films of all genres from filmmakers around the world. 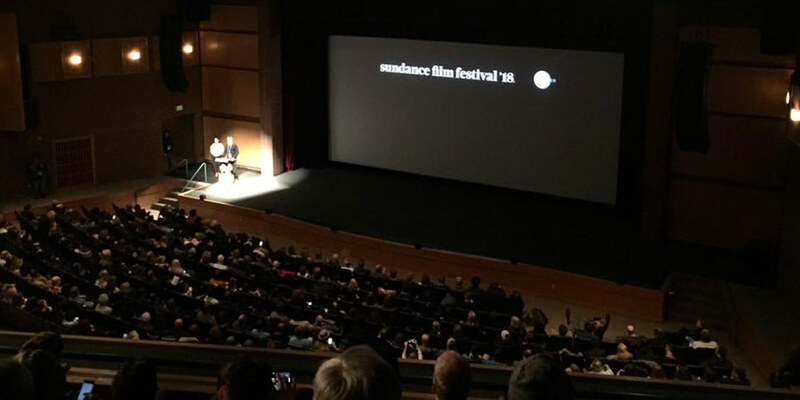 The four students who attended were Mary Pelchat, Vince Salerno, Gabe Moore, and J.J. Schindler, all of whom had never attended Sundance before. Of the 4,000 feature films and 11,500 short films that were submitted to Sundance this year, 110 feature films and 13 short films were screened. Many of the attendees were Park City locals, and Vince said “their enthusiasm [for movies] made it easy to have a conversation.” Vince saw eleven films at the festival, and his three favorites were Burden, Un Traductor, and Hearts Beat Loud. Burden, a film about a man trying to leave the KKK, left a particular impact on him. Gabe agreed that it was a film to remember, saying, “From all of us who went, it was clear that Burden had won our approval. 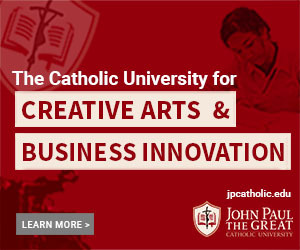 Coincidentally, it also won the festival’s Audience Award.” J.J. added, “[It] was a huge culture-changing film that I thought was amazingly engaging and disturbing.” In addition, he really enjoyed the movie Ophelia, which was a retelling of Shakespeare’s Hamlet through the eyes of Ophelia. “It was a beautiful take on Shakespeare,” he said. This was the seventh time Professor Scoggins attended Sundance, and he said that this year was particularly inspiring because “the focus [was] on the films as opposed to the celebrity aspect… and it really became more a celebration of the movies and the opportunity that some of these first-time filmmakers had to get their movies made.” Like Gabe and Vinny, Burden was also his favorite film. He said, “It’s not a perfect film, but for me, I thought it was just exceptional in terms of the themes [the director] was exploring.” Another film he enjoyed was Come Sunday, which tells the story of an African-American preacher who starts to believe and to preach that hell doesn’t exist. “I just found it really thought-provoking,” he explained.